As it’s “National Super-Hero Day”, I though it only fitting to re-run this article that pays tribute to the television show that introduced me to the concept of super-heroism, and the man who will always be “My Superman”. For a child of my generation growing up in the Fifties and Sixties, hearing the forceful voice of announcer Willard Kennedy intone the words “…and now, another exciting episode in The Adventures of Superman” was enough to send you a-scurry to your television set, as it meant that you had spent too much time in the kitchen gathering your snacks, and that another fantastic tale of everyone’s favorite super-hero was about to begin. 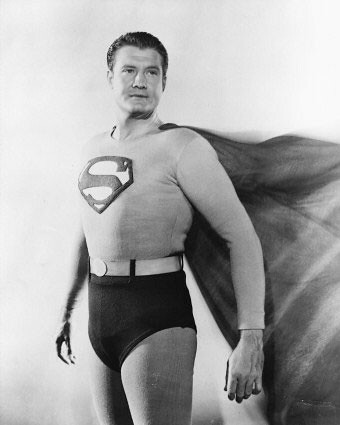 It’s impossible to over-estimate the impact that the Adventures of Superman and its lead actor George Reeves had on audiences of the time, or how its influence continues to be felt through the works of comics creators and film-makers inspired by this long-ago program and the unforgettable performance of its star. With the trifecta at hand of the theatrical release of Man of Steel, Superman’s 75th birthday, and the June 16th anniversary of the passing of George Reeves, it’s a perfect time to take a loving look back at the first super-hero program in television history. First, to put everything into context we’ll need to step back a little further in time. In 1940, barely a year after two Cleveland teen-agers named Jerry Siegel & Joe Shuster had seen their Superman explode across the pages of Action Comics #1, a syndicated radio show began entitled The Adventures of Superman. Produced by Robert Maxwell and starring Clayton “Bud” Collyer in the dual lead roles and Joan Alexander as Lois Lane, the program would become a nation-wide sensation when picked up for distribution by the massive Mutual Radio Network. The tremendous (and eventually decade-long) success of the radio show would prompt Paramount Studios and their animation partners Max and Dave Fleischer to undertake the production of a series of theatrical cartoons, the first of which, 1941’s simply-titled “Superman”, was nominated for an Academy Award. These glorious short gems are still regarded as some of the finest animated films ever made. Superman would return to the big screen in two Columbia Pictures cliffhangers starring Kirk Alyn in 1948 and 1950. Spirited but cheaply-made, these films would mark the live-action debut of the Man of Steel, which despite their budgetary issues would become the highest-grossing movie serials of all time. This success would pave the way for a leap into the new and exciting medium of television. Those episodes would sit on the shelf for more than a year until a sponsor could be found. Eventually, Kellogg’s Cereals, who had backed the radio show, entered into an agreement with DC to sponsor a nation-wide syndication deal, but they demanded some changes. With an eye toward a more family-friendly product, out went some of the more adult material, and eventually Robert Maxwell and Phyllis Coates, too. 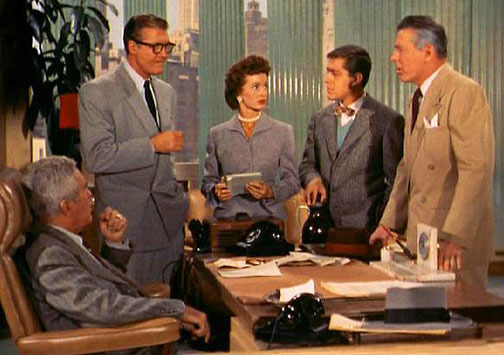 For the sophomore season, new producer Whitney Ellsworth brought back the Lois Lane of the serials Noel Neill, who came on board to join hold-overs Jack Larson (Jimmy Olsen), John Hamilton (Perry White) and Robert Shayne as Inspector William Henderson, who would all remain for the rest of the show’s 104 episode run. By the time second season filming had begun, The Adventures of Superman had premiered around the country to good reviews and incredible ratings–an 88 percent share of sets in use in Atlanta for example! 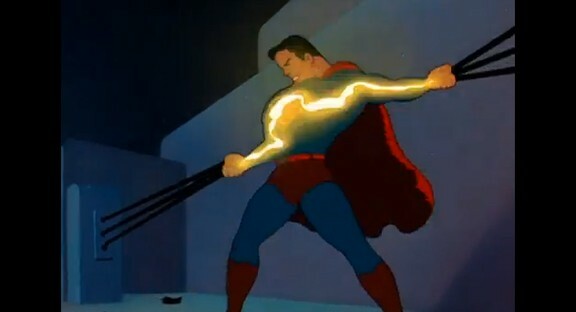 The lighter tone that Kellogg’s and Mr. Ellsworth envisioned for the series moving forward included more personal interest stories, but also sci-fi/comics trappings such as Kryptonite, computers, atomic radiation, time travel, robots, and wandering meteors in “Panic in the Sky”, perhaps the episode most like a Superman comic book. (And probably the source for the story in World’s Finest #68 “Menace from the Stars”!) 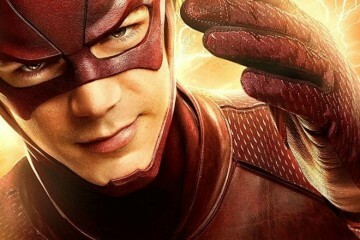 The ratings would continue to be high, and the show would be one of the first to film in color beginning with the third season, but the plots would drift into more “kid’s show” territory until a bump upwards in the show’s sixth and final season. No matter the absurdity of the stories or situations, George Reeves’ portrayals of Clark Kent and Superman were never anything but dignified, powerful, and filled with bonhomie. 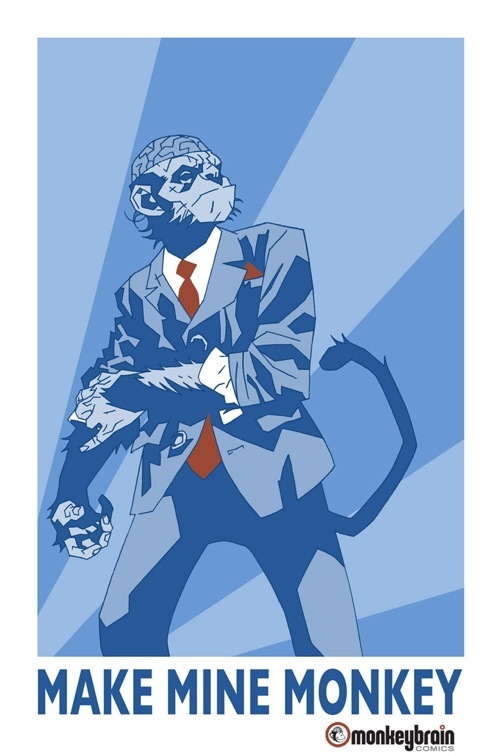 His Clark Kent was a strong character in his own right, a crusading reporter often as feared by the criminals of Metropolis as his super-powered alter-ego, although he played them subtly differently. In the aforementioned “Panic in the Sky”, Superman has lost his memory, and trying to save the day, Clark Kent dons the costume he finds in the hidden closet in his apartment. Sitting slumped in a chair, glasses on, he is Kent; but when he hears reports that the meteor is about to crash, Clark slams his fist on a table in frustration–and it shatters! He stands, at first uncertain, until in what seems a visible upwards wave, Clark Kent transforms into Superman before our eyes! A show about Superman will rise or fall on whether or not the actor playing him can deliver the twin attributes of physical power and emotional compassion. On the physical side, George Reeves was 6’2″ with an athletic build, although early on they insisted on padding the costume for enhancement. (This would be pared away as the series wore on.) His fight scenes, particularly in the no-holds-barred first season, were something to behold; raucous ballets of mayhem, with scads of evil-doers getting their come-uppance. Even after that, you always had the feeling that Superman was in total control, whether withstanding hails of gunfire or ray beams, preventing dams and railroad trestles from collapsing. lifting a pyramid or just simply coming into a room. Superman’s entrances were spectacular, whether he was crashing through a wall, or via his landings which were accomplished by the athletic Mr. Reeves leaping from high ladders and swinging in on a trapeze bar hung just above the set. His dynamic take-offs were done (at least after some first season incidents regarding the wire rigging!) using a gymnastics springboard set below camera level. He would run up and then leap off the springboard through various windows and doors, seemingly flying through the air. The highlight moment for this technique can be seen in “Panic in the Sky”, where the camera was set well below an observatory walkway, and George Reeves ran to the edge and then vaulted completely over the camera; a fabulous practical effect for those pre-CGI days! Jimmy: Golly Mr. Kent, you’ll never know how wonderful it is to be like Superman. Clark: No Jimmy, I…I guess I never will. These words, wistfully spoken, would be the final lines uttered on-screen by George Reeves before his untimely (and mysterious) death in 1959 at age 45. The Adventures of Superman, though slated for a seventh season, could not continue without its star. However, through syndicated re-runs, it would remain unceasingly on the air-waves for decades, serving as grand family entertainment, and as affirmation of the brilliance and rightness of Siegel & Shuster’s creation as interpreted by an actor who brought so much of himself to the role. Although I’m sure the show seems quaintly primitive to younger eyes grown more accustomed to the whiz-bang of today’s special effects and the pacing of modern dramatic story-telling, for those of us who grew up watching, the Adventures of Superman was the height of invention, and for many of us, our introduction to super-heroes. Beyond that, it gave us more than a glimpse of true heroism as personified by George Reeves in the role of this “strange visitor from another planet”, providing inspiration for generations of children and adults alike. I’ve wanted to do something like this for a very long time. In fact, I am embarrassed that I did not do this some years ago. I know that you have legions of fans for your work in the Adventures of Superman tv show and that I am just one of them. I know that due to the limitations of the materials at the time, the costume you had to wear was very uncomfortable for you and that you didn’t have the benefit of filming in air conditioned studios. I also know that you felt hindered, restricted, and terribly typecast in this role and wondered out loud if you ever had any adult fans for your work as Superman. I’m here to tell you that you DO have adult fans of this particular work. Maybe we weren’t adults when the show originally aired (I sure was not), but that didn’t stop me from loving your performances, each and every one of them – whether you were Clark Kent or Superman saving the day. It’s a very funny thing the effect you had on us, your fans – we never lost our love, admiration and respect for you – all these years later. You’re still our hero and we still love to watch you. We never “outgrew” you and it seems that our interest in and love for the show only got stronger as the years went on. Many of us watch the shows on new formats – they’ve gone digital now and are available through iTunes and on DVD. I am able to watch them not only whenever I want, but I can see the later seasons in full color, which is a real treat for me since we never had a color tv when I was growing up. I can tell you that it was difficult before things went digital to have your shows to keep and treasure once they were officially off the air – I was not a fan of VHS tape since they were so fragile, and laserdisc had its own problems. So I had to catch the shows first as they went into syndication (and still never seeing all of them) on the UHF stations, then when I was in college, another local station broadcast them daily at 4:30 pm in color. After that, it was in catching Nick at Nite/TV Land marathons as an adult that I saw some more new (to me) ones and revisited some old favorites. Now, I have all your episodes – every one – loaded onto my iPad and enjoy your adventures when I am on my lunch break from work, or relaxing at home on a day off. To have them like this – to watch whenever I want – and not to have to depend on a network or cable provider broadcasting them is simply THE BEST. The reason you are my favorite Superman is because of all the heart you put into your acting and into the portrayal of that character. The integrity of Superman just shines in your episodes! I know that many fans along with me agree. I held off for decades watching other actors portray Superman in movies because I knew they wouldn’t and couldn’t be as good as yourself, you truly spoiled me for anyone else’s Superman! Since then, I have relented and watched other tv and movie portrayals of Superman, and my original opinion hasn’t changed a bit. Nothing against the other actors at all, some of them did a very fine job. But they weren’t you. They didn’t have your heart, your smile, your laugh, your personality. That’s the difference. You brought something very special, very unique to this role. And all your fans love you because of it. My only regret is that I wish I could have met you in person and told these things to you face to face. From the bottom of my heart – thank you for your work. I thank you for the kind words about my piece, but even more for the beautiful letter to George Reeves. I offer my “Amen”, having wondered throught the years whether Mr. Reeves could have ever imagined the impact his work would have on so many people, from just fans to comic book and media professionals driven to their careers due to his inspiring example! First, let me thank B.J. for pointing me to this site *and* for both testimonials above to George Reeves (Bob’s & B.J.’s). I don’t know if I can add much to both of your eloquent tributes. Bob: You made me remember the feeling I had growing up, watching the show, particularly with regard to Superman appearing on the scene. I’ve often related it to real life, whether miners are trapped in a cave-in, there’s a hostage situation or even a terrorist threat. I typically imagine Superman stepping in to save the day and hearken back to the seemingly countless times he did on “The Adventures of Superman”, via George Reeves. 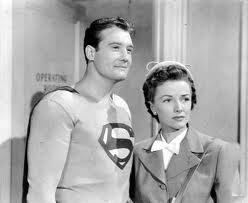 And just as Superman never failed to come through in a pinch, George Reeves always did, with a convincing performance. I never wanted it to end and am always a bit wistful when watching “All That Glitters”, knowing that it’s the show’s and Reeves’ swan song. B.J. & Bob: There is a place in my heart & soul for TAOS. i’m glad this sentiment is shared by folks such as you and so many others. Thanks so much for checking in, and even more, taking the time to write in! In so many ways, I am beholden to George Reeves for the shining example his portrayal of Superman provided in terms of heroism, friendship and grace in tough situations. In the wake of a “superman film” (ironic lower case and quotes) that you shouldn’t take your children to, the oportunity to champion the work of Mr. Reeves and his comrades-in-arms seems even more important now than ever.